The Next Norwich AlleyCat will be on Sunday 13th of November at 1.45pm for a 2.00 pm start at St George's Green, opposite the Norwich Playhouse, with the now customary Café social in the Playhouse bar/patio afterwards (child friendly). 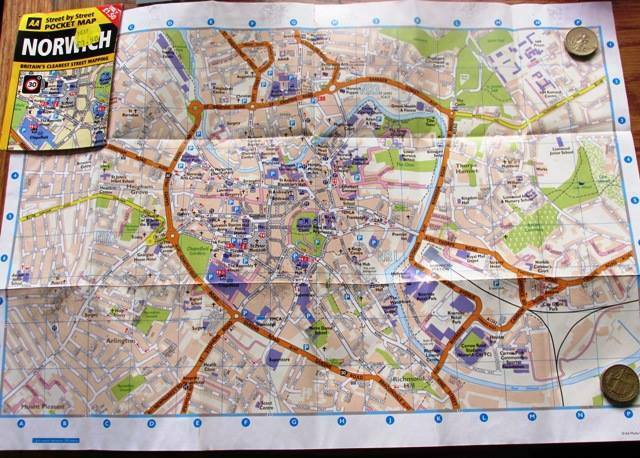 This Norwich AlleyCat will consist of the usual format of 10 (easy to solve) clues, 8 unmanned checkpoints and 2 photo tasks. Norwich AlleyCat is not a race, neither is it a competition or competitive, but it is a social cycling activity open to all; ride as a solo individual, pair, trio, family, team, group etc. Please just turn up and join in the fun. Suitable for all ages and cycling abilities, Norwich AlleyCats are planned to suit all types and styles of bicycle and will take approximately 90 minutes for an average pleasure style cyclist using the cycle paths, lanes and streets of the city.